The Galaxy Note 9 not only has a better battery life than its predecessor, based solely on the in capacity, but it also has one of the best endurance streaks amongst its current peers with high-resolution displays. Samsung is still modest, though, and advertises it as an "all-day battery" phone, which is not what you'd expect from a 4000 mAh pack, but it is at least realistic that this means a day with heavy usage. That's the curse of modern smartphones with QHD+ display resolutions, so the news from Mophie that its battery case for the Note 9 is now available to buy, is very welcome. The Note 9 Juice Pack sports a 2525mAh battery inside, and doubles as a tough protection case. The case is very slim, as far as wrappers with embedded batteries go, but, unfortunately, that also means the Mophie sacrificed some battery capacity in the process. The wrapper can be charged wirelessly with any Qi charger as well. 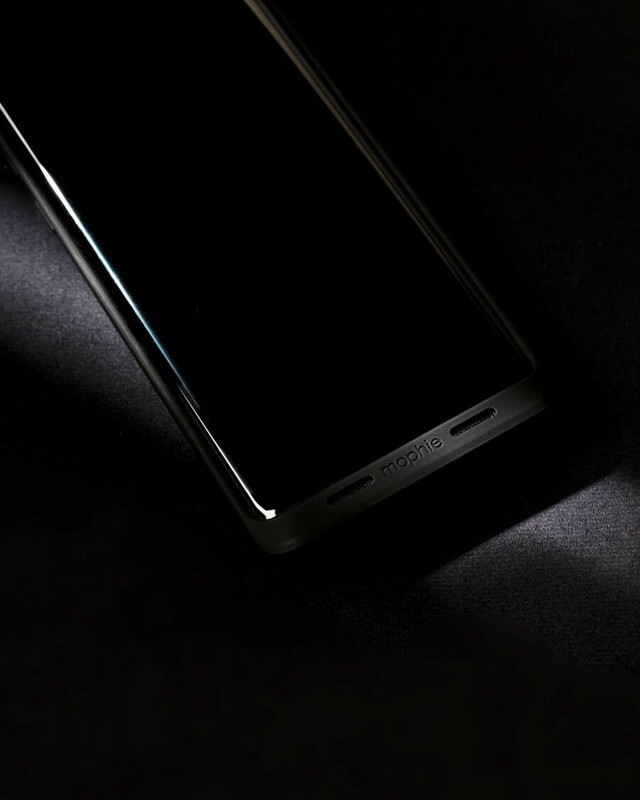 Needless to say, it is pass-through, which means that no matter what charging method you use, the phone's battery will top up first, and then the case will start getting the electrons. Thus, it's a great way to add about 50% more battery life to your Galaxy Note 9, and has it protected from bumps and drops at the same time. The price? Well, $99.95, just like with all Juice Packs, which are now more elegant and house more capacity inside the case than their previous editions. A slightly smaller battery pack but thinner, more elegant case sounds like the smarter tradeoff, so kudos to Mophie for taking this plunge. Hey, Samsung asks $239 to replace the Note 9's OLED display, so you need to slip the phone in a case anyway, why not have it add something to the battery life as well. Is truly qi or like that of iPhone 7. Where the case made it QI. You could literally take out the qi part slap it on the with the connector and use any other case.